This post comes to you at 6:22 AM on the first very cold and blustery day of the season. It’s the start of the short pre- Thanksgiving week, and I am looking forward to the 4 day weekend probably as much as my students. The harsh chill wind feels appropriate after the morning news; stories which contrast some Jewish support for Donald Trump with his anti-Muslim rhetoric and views are particularly upsetting this morning. After a lifetime of holding up the Holocaust and saying, “never forget, never again,” it appears that some of my cultural compatriots are doing exactly that. The fear my Muslim students expressed to me on November 9 stays with me, and I am wondering how I can make them feel safe, at least in my classroom. I’ve spent a lot of time thinking about privilege the last few weeks, and I can thank the upset in the election for this – perhaps the only benefit I can see right now. On the agenda today: In my three sections of Algebra 2, the students will be working in groups on tomorrow’s exam. This is the first time I have tried this strategy, but, bolstered by input from Jonathan Claydon, Amy Hogan and my office mate, I’m hoping the communal efforts will boost student understanding of the content, and their independent demonstrations of mastery. My concerns include making sure no exams (or photos of them) leave the classroom, and students not making good use of their time together. In Discrete Math, we will beginning our unit on Problem Solving strategies, which is a distillation of the course I taught last fall. I will still be using problem sets from Crossing the River with Dogs, but I’ve come up with several different versions of each set to use for assessment. The summative project in this unit will involve the students creating problem sets of their own; again, I am trying to counter any inclination to over-collaborate (how’s that for a euphemism?). It’s not even 7:30 AM and I volunteered to go on the spring trip to Quebec with the foreign language department. I don’t speak any French, but I’d love to visit Canada, and maybe they need a math teacher!? The sound of the wind is a howl in my office, which is located on a corner of the school building on the top floor. Here we go, Monday morning. Two sections of Algebra 2 worked on the ‘practice exam’; many students commented that they found it a helpful exercise. From my view, the group review surfaced the topics that need the most study, and I was able to reiterate these areas to the entire class. For me, it was an opportunity to observe, deflect questions and refer the students back to one another for support. At the end of each class, the students were puzzled that there would be no answer key provided for this review, and that they needed to leave the papers with me. But I provided a review and practice sheet for them last week, complete with an answer key, as well as an assignment on deltamath.com with many practice questions. I think it may have dawned on some of the students that they were looking at the actual exam, and this will be the only time I can use this element of surprise. Hopefully, I will see better results and more work that evidences understanding tomorrow. My teaching day is over, although I’ve got two meetings left to go, and a private student. My Discrete Math classes both went well (yay!! ); the introduction to problem-solving was met with both interest and cooperation, some of which is a vestige of last week’s Parent Teacher Conferences. A new basketball league was formed in which each of the teams will play three games against each of the other teams. There are seven teams: the Antelopes, the Bears, the Cubs, the Dusters, the Eagles, the Foxes, and the Goats. How many games will be played in all? The range of approaches was impressive, although very few students attempted to draw a picture for a solution. I saw charts, lists, tree diagrams, and on some papers, a simple but erroneous 7 x 3 = 21. Many students who realized that the Antelopes needed to play 18 games assumed that each of the other 6 teams would play 18 different games as well. But in each class, there was at least one student who understood that the number of games each team would play when calculated this way was double the actual amount. It was a clear learning moment for those students who had made the error – I hope. (Come to think of it, the student work on this problem would make good fodder for mathmistakes.org!) I drew a network sketch on the board to show how I calculated the answer, but it looked complicated to many of the students – I’m not sure I disagreed. Of course – six poles – the vertices of a hexagon! Brilliant, I thought – this solution appealed to the geometer in me. In both sections, particularly the troublesome 7th period, the unit launch went well. I’m looking forward to more of the students’ work as we proceed through the different strategies. The big lesson I learned from teaching this last year was the need to have problems with multiple solutions. I haven’t gotten to that yet, but I have created several versions of the problem sets I want the students to complete for each problem-solving strategy, and the unit project will provide differentiation in its open-ended nature. The third section of Algebra 2 went as well as the morning sections, although, perhaps predictably, the student need was more evident – predictably because the quiz and exam results of this class have been markedly lower than the other two, much to my mystification. While working on the practice exam, entire tables would become stumped by a question. My first usual response to questions – “Have you asked your tablemates?” was as often as not met with “yes, and none of us know how to do it.” I gave hints and tried to point them in a direction without giving a direct answer. I began a list on the board entitled “What I Am Noticing”, to which I added items like “You need to practice solving quadratic inequalities,” or “Everyone should review Focus Directrix form of the equation of a parabola”. I hope they take my suggestion to heart. I’ve got 4 girls in my office at the moment, practicing those two topics (and others) until this afternoons basket ball game, and I’m hoping that their efforts are indicative of those of their fellow classmates. I’d really love to see some improvement in the exam scores. I can’t wait to see their faces, and hear their comments, when they realize they had been working on the exam all along. Will they be happy? Peeved that I dissembled today? Will I see work that truly evidences understanding rather than mere recall from the practice? My first meeting was a bust – we have bi-monthly professional development at the end of the day on Monday; we are supposed to be engaged in one of two inquiry cycles to be completed during the school year. We’ve been given little direction from our facilitators, but fortunately I am pairing with a teacher who understand the process, as do I. She lives with the consequences of students not fully understanding how to manipulate and simplify rational expressions, a topic that I will be teaching in January, so we’ve come up with the strategy of having students look at incorrectly solved problems in order to hone their skills. Today, however, our meeting never took shape. The facilitators did not appear, nor did the other department we are working with on this assignment (science). Calls to our assistant principal’s and principal’s office did nothing to enlighten the situation. The attending teachers, thus, spent the time reviewing [sort of] the inquiry cycle, among other professional (ahem) issues. I’m not normally one to ignore an assignment, but this inquiry effort, launched by our administration with little framing and preparation for the staff, feels, if not misguided, then perhaps mismanaged, and just plain missed as an opportunity. Tomorrow, the Instructional Cabinet (another committee I sit on) will be discussing just this issue at an open meeting tomorrow afternoon. Hopefully some progress will be made towards a more constructive use of our professional development time. I’m off to Manhattan for a meeting at Math for America to pre-plan for a summer conference, spearheaded by Matt Baker and Brian Palacios! The wind is still howling outside, so talking about a summer conference sounds very nice indeed. Home at last – and almost time for bed. The meeting at Math for America was great, and I was sorry that I couldn’t stay for the whole thing – the opportunity to be involved at the very beginning of the planning process is envigorating, even as my teacher energy is hitting that dip before winter holiday build-up begins (does that even make sense?). I’m looking forward to continued participation in that effort. I left early to meet with a private student – a girl I have been working with since she was in 7th grade; we no longer meet regularly (she is in high school), but she is insecure prior to exams and always wants a tutoring ‘booster’. And anyone who knows me at all knows that I never turn down an opportunity to talk geometry. I turned her on to my favorite compass – always fun to see how excited someone becomes when they realize there is an alternative to the typical pointy hard-to-control tools. I love having these long term relationships with students – watching them grow, and helping them learn to appreciate math – even if it means an extra-long Monday. Finally at home, I get a snuggle from Ollie, and have a quick FaceTime conversation with Izzy, my friend’s daughter. I’ve known this child since she was five; she’s now a freshman at one of New York’s specialized high schools. She texted me earlier this evening while studying for a geometry exam (seems to be going around tonight..), and not only am I sucker for geometry, but I’m a sucker for this kid as well. It was my pleasure to discuss negation, triangle centers, and congruence shortcuts with her. I’ve got two days to go to Thanksgiving break. In those two days, I’ve got an exam to give, projects to grade, a meeting of my Professional Learning Team on Racially Relevant Pedagogy and a medical appointment. Thursday’s lazy morning beckons tantalizingly. But I’ve got to go to bed tonight before I can begin to get there. I was very proud of my deflecting all student questions during the exam review today. I redirected the children back to each other, and answered their questions with more questions. And I think I managed to keep them from being furious with me while I was doing it. Conversely, I think I could have pushed my Discrete Math students with some questioning a little more during the problem solving activity. I’m going to work on that in the lessons to come. 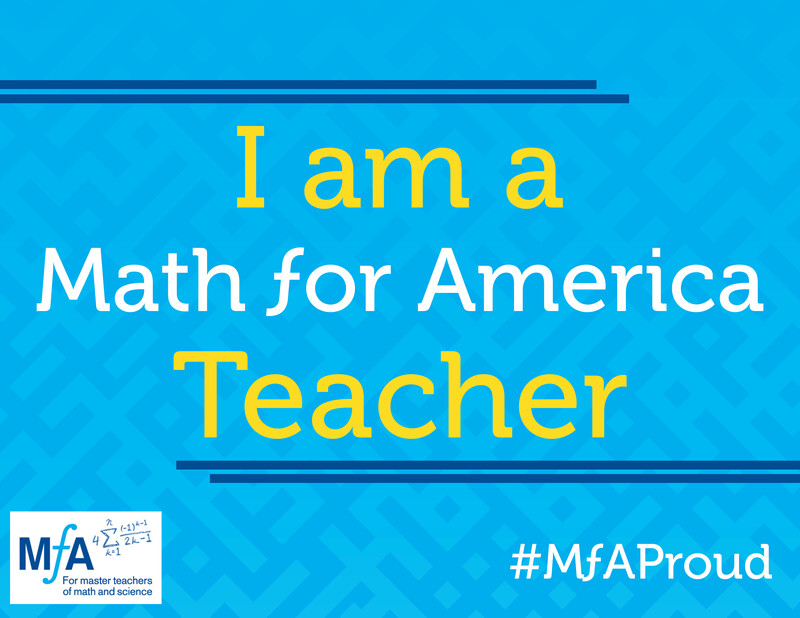 I am feeling more confident in the relationships I am developing with people at Math for America. I’ve come a long way to get there, but that’s another story for another post (maybe). I had four students come see me for extra help today in preparation for tomorrow’s exam – they came bustling in with their snacks in between classes and the school basketball game. They asked questions, helped each other, and worked away. I love when the kids are that comfortable in my office, and it lets me know I am creating safe spaces for them in which to be themselves. Saturday night was Nerd Prom aka the Math for America Fall Function, complete with aerial entertainment, decagonal menus, and a mayoral speech. I said in my last post that November 2016 has not been my favorite month ever, but Saturday evening helped. Thanks, Math for America! Today is the Autumnal Education Equinox – the longest day of the teacher’s year: Parent Teacher Conferences. Arriving at school at 6:45 am, I will be leaving at 8:45 pm, and arrive back at school tomorrow at the same time for round two. I don’t mind conferences at all, except for this intense two day period. Tomorrow is a half-day; school is open to parents from 12:15 to 2:15, and the six class periods being held in the morning are shortened to 33 minutes each. The classes meet earlier than their normal times because of this schedule, so absenteeism is high. I’m not happy to lose the day of instruction, especially with my Algebra 2 kids. In Discrete Math, the kids have been working hard on their probability games, creating (among other things) some great artwork for the classroom. I’ve gotten in touch with a number of parents in those classes in recent weeks (behavior issues, unfortunately), and I’m hoping some of them will come up to school. Traditionally, however, my elective classes bring in fewer parent/guardians than my core classes. In Algebra 2, I just returned an exam on which many students did poorly. This is a ‘gifted’ track class, so I am expecting a big turnout. I was very busy the first night, which is good, and had a fair mix of visitors from both of my courses – Discrete Math and Algebra 2. As predicted, there were a fair number of Algebra 2 parents who were concerned about their children’s last test grade, and I spelled out for each of them the steps I was taking to support the children in their preparation for the upcoming exam – detailed review sheet mirroring the exam with an answer key, creating weekend study partnerships, and group review of the exam the day before it is to be given – and what their children could do to help themselves – review class notes and problems, ASK questions in class, seek extra help, work through the review. (I felt a little like a broken record, but the truth is that most students need to do all of these things.) I love being able to share details about their children’s classroom aspect with parents; I remember how important that was when i was on the other side of the table (nothing worse than feeling like your child is not much more than a line in a teacher’s gradebook). I also had several parents who I had contacted regarding lack of work or challenging behavior on the part of their children; I was very glad to be able to have those conversations face to face, particularly if the student was there. Some meetings were difficult, however; a student who I cannot engage in one of my Discrete Math classes laughed at his parents as they tried to find out why he refused to participate in any way in my class. At the very end of the evening, after parents were theoretically no longer to be in the building, I had the opportunity to speak with the mother of a student who has pushed my tolerance to the limit this term – taunting others, copying work, and when submitting work, drawing pornographic pictures on it (don’t ask). Denying his culpability to the last moment, this boy finally agreed to make up some missing work over the long Thanksgiving weekend. We’ll see. The half day of classes went very quickly – when periods are a wee bit longer than a half hour, they fly by. But most of my Algebra 2 kids were in attendance, and dove into correcting the aforementioned exam. But when conferences began, the afternoon moved much more slowly – I had only 6 visitors. In fact, I wrote most of the recap of Thursday night while I waiting for parents. I had a meeting with one more mother of a student who chooses not to do work but rather to argue with and bait me in Discrete Math; this mother is relying on faith to help her son as her other strategies have failed. She thanked me for my patience, but I wish we could have come up with a better plan. I’ll keep trying in class. And so another season’s Parent Teacher Conferences have ended. I was proud of my launching of the ‘Weekend Study Buddies’ initiative in my Algebra 2 classes; enough students signed up in each class to indicate that it could be a worthwhile effort. Maybe I can be even more structured about this in the future. I had a few parents who weren’t satisfied with hearing that ‘many students didn’t do well on the last exam’ and I don’t blame them. This doesn’t address their child’s specific needs, and I am certain that many of them say to their kids (as I said to mine), “I don’t care what other children do, I only care what YOU do”. I wish I could have given them more specific information about their child’s performance on the exam, but honestly, with 102 students in Algebra 2, I just didn’t have the data. I am looking forward to my first attempt at a group exam process next week. I hope it improves the results and the students’ level of preparation when it comes to working on their own. A challenge? The flip side of the previous sentence – trying to figure out how to promote deeper understanding of ideas that I think have been clearly presented, how to formatively assess more frequently and effectively so I am not blindsided by clear evidence that deep understanding has not been achieved. I had a lovely moment with some of the boys in an Algebra 2 class today. Our school won the New York City PSAL Baseball Championship last year; apparently we have a number of young superstars, and the winning pitcher is in my 3rd period class. These boys are already being recruited by colleges; some commit to an institution as early as their sophomore year, only to find out that ‘better’ schools might want them enough to provide full scholarships later on. We discussed the pros and cons of making an early decision, and they made me promise that ‘when’ they were in the Championship series again this year, I would attend the game (I sadly could not last June). The attainment of my goal of building better relationships with my students is progressing in many cases, but not all. I am working towards seeking more educational opportunity for all of them, and looking honestly at myself and my behaviors that may or may not promote that. As I faced the parents of my black and Muslim students, I thought about the racism and prejudice they face, and their fears in light of the presidential election result. I want to be an ‘ally’ in the true sense of the word. I am trying to use my empathy and privilege to create safe spaces. I don’t know if I am succeeding, although I have made it clear that equity is a theme in my classroom. November 2016 has not been my favorite month. The world is changing in a way that I cannot predict. I don’t want to live in fear, but rather channel my grief and outrage into action, as mentioned in the previous paragraph. I’m hoping to find co-conspirators in this effort, and to hold myself accountable to that goal. It’s hard to feel that joyous at 6:10 AM, waiting for the bus in the dark. This is the first full five day week in three weeks, so I’m a little tired. I am looking forward to the weekend, but I am attending a full day restorative justice training tomorrow (Saturday), so I won’t be sleeping in for another day or two. I’m also feeling the hint of a scratchy throat and post nasal drip, and hoping that the extra vitamins and Airborne I downed this morning keep the threatening cold at bay; hopefully the momentum and energy of the day will push me past it. I’m always amazed at how much is already happening at school when I arrive at 6:45. I eat breakfast at my desk and open up my lesson for algebra two. I’m introducing quadratic inequalities today, and I am nervous. My department tends to teach this topic in a completely procedural manner, and I am determined to get the children some conceptual understanding before we go into procedure. I’m borrowing an idea from Sam Shah, but I don’t really have the time to go through his entire excellent exploration. I decide to use a demonstration on Desmos; the students can open the calculator on their phones, and do the exploration along with me. First we have to review compound linear inequalities, and I know from experience, that even though they have seen these in middle school and Algebra 1, for many children, it will be as if this is a brand new topic this morning. Knowing that they need to understand linear any qualities before we even approach quadratic inequalities makes me nervous; given our departmental pacing calendar, I don’t have time to spend a whole period on this introduction. I also know, that if I don’t make sure everyone is familiar with linear inequalities, that I will lose one third of the class when we move onto quadratics. This push-pull between the pacing calendar and the realities of my students’ proficiency informs most of my instruction. It’s 30 minutes to showtime, so I’m off to set up my classroom. My first 2 classes were back-to-back sections of Algebra 2, ‘gifted’ track; I was spontaneously observed during the first class, which of course meant that the SmartBoard wasn’t working properly. The display was functional, however, so all was not lost. We began with this warm-up, and things went as I predicted. Most of the students were comfortable with the first two problems, many were not with the second pair. As they worked and conferred with one another, I asked students to put some correct and incorrect work on the board (I thanked the students who were putting incorrect work on the board, and told them that they were giving the class the opportunity to look at a common error). We did a lot of noticing and wondering, and then moved on to some purely algebraic examples, which served to surface further questions, such as ‘Does the variable always need to be on the left?’ and ‘Do we read the inequality from left to right or right to left?’. All great questions which reflect conceptual misunderstandings that should be corrected before we go further. By the time we worked through the Do Now and the three examples above, and reviewed how to express the solutions in Interval and Set Builder Notation, there was barely time for independent practice, and quadratics? Hopefully on Monday. I spoke to my AP during the observation; she also teaches a section of Algebra 2 and agreed that the pacing needed to be adjusted to make sure the students were recalling all that prior knowledge we were assuming they had. I have a break after these two classes which is supposed to be my lunch period (it’s from 9:45 to 10:30); I have a student monitor during that time who is great at sorting through paperwork, checking in homework, and running errands that would eat up the free period. Two Algebra 2 students from different sections stopped by for help with the previous night’s homework. I am always very glad to see kids with questions, and wish there were more who had the time or inclination to come ask. Quite frequently this makes the difference between moving forward with the class or getting left further behind. I am really looking forward to seeing these games. The afternoon Algebra 2 class ran similarly to the morning sections, and my teaching day finished with my second, and more challenging, Discrete Math class. This class has lower and varying attendance; I have a group of boys who come to class intermittently, and sometimes all together. The class has five current or former English Language Learners, six students with IEPs, and many of the students (ELL/IEP or not) are not on track for graduation. There are twenty seven students on the roster, but I rarely have more than sixteen in class (except for the day I was observed, natch – how do the kids know??). Although I’m not dealing with the type of hostility I encountered last fall, there is a smarmy and somewhat sexist lack of respect coming from some of the young men which I have not yet found an effective way to counter. The content is engaging (games of chance, logic puzzles, tossing dice, flipping coins and collecting data). I’ve tried private conversations, reaching out to guidance counselors, and some phone calls home. I am avoiding involving the Dean’s office unless absolutely necessary. I realize that the problematic students are outnumbered by those who are working and engaged, but the off-task behavior seems to control the class. I’m frustrated; it’s the end of the first marking period, and we’ve got a long way to go this term. I’m contemplating individual goal-setting and contracts to start the second marking period, but have a feeling that this may not be the best strategy with 17 year olds who have not found anything worthwhile in a math classroom in quite a while. If you’ve got any ideas, I’d love to hear them. Today is the end of the first marking period, so there was a flurry of late work submitted to my inbox. I allowed corrections on DeltaMath for the last Algebra 2 quiz; many, MANY students took advantage of this opportunity, and I have decided to give back 50% of the points. When students do corrections by retaking assessments in my presence, I usually return 100% of the points. But after a lot of thought, I decided that working through examples on a website was great practice and progress toward mastery, but not necessarily evidence of independent proficiency. It’s tricky, and not something I have done before. We don’t do standards based grading at my school, but I am a firm believer in allowing students the opportunity to take the time they need to learn. I don’t, however, have a complete structure in place, and occasionally worry that my foray into allowing corrections will backfire – it only takes one angry and vocal parent to create a problem. It’s 3:46 P.M. – I’ve been at school for NINE HOURS. I have a pile of grading which needs to get done in time for marking period grades to be submitted early next week, and I’m still fighting my body’s urge to succumb to the cold. If I go home, get in bed, and rest for a day, I might avoid it. But the restorative justice training tomorrow beckons…. I could continue this post for the rest of my day, but I can predict what the next six hours will look like: me in pajamas, fending off kittens while I try to grade papers and sip tea. Eventually I will crash with a crossword puzzle (and I predict that the training will have to happen another time; the thought of getting sick right now NOT ALLOWED). I think my decision to stay focused on linear inequalities and surface misconceptions was a good one; if I pushed ahead to quadratics, not only would I have lost some students content-wise, but their frustration might have farther reaching consequences beyond this lesson. And when kids come to talk to me about their homework, I know that they trust me, and care enough about the class to make sure they are keeping up. Not ideal – I can’t seem to strike the right note with the boys that are giving me some trouble in my last class. I can feel my temperature rising with some of their rudeness, and have wished that I could say what I am thinking…not a good sign. As we shift to the Common Core standards in Algebra 2, I am committed to moving beyond procedural teaching and investing the time in looking at bigger ideas; I know I have made some concrete steps in this direction in a number of lessons, and I’m looking forward to continuing with that work. As far as challenges, I think I’ve described them pretty well in this post. It’s ongoing. A student came up to me the day before yesterday and asked me if he could still retake the first quiz. Before I answered, he apologized for being out of it (which I hadn’t noticed; he had been participating in class), and said he had a lot going on at home. I asked him if he was okay, and he told me that his parents were splitting up. He choked up and had tears in his eyes. I felt so badly, and we talked for a few minutes. I think it’s hard for boys to be emotional like this in high school, and I’m glad he trusted me enough to reach out for help. He’s been out for the last two days, and I am concerned. I continually try to connect with the students as the term goes on. My response to the students in my Discrete Math classes that are challenging me is more open and conciliatory than it has been in the past, despite my frustration with some of their behavior. The conversation with Damon (previous question) shows me that there ‘s so much going on with our kids that we can’t see, especially in a math classroom. Next week the Racially Relevant Pedagogy PLT I am facilitating with Jose Vilson meets for the first time – I am nervous and excited. We had a great planning meeting last week, and I think we’re pretty good collaborators. I was also proud to have my blog post in the Math for America Teacher Voices blog a week or so ago. minutes (complete index cards, make name tents, play Ms. Menard in Numbers, and distribute contracts – was I kidding?). The students in my 7th period Discrete Math class looked like I felt – hot and wrung out. Tomorrow, Friday, is a full, regular day – our hard opening, as it were. I’m not going to talk about how disgustingly humid and warm my classroom was after this. But it was. Very. One of my Algebra 2 classes didn’t meet yesterday, and I had to fight with myself to give them the same lesson as the others had, remembering that time spent creating classroom culture and norms reaps dividends all term long. In the other two sections of Algebra 2, however, I borrowed Sara Vanderwerf’s Top 10 Things About Your Calculator lesson, my only regret being that I could have used another 30 minutes in the period to review both the TI-84 and Desmos portions of the worksheet. We probably ran out of time because we began the period by talking about mindset and self-advocacy, but again, this was time well spent. I won’t elaborate on all the misconceptions that this activity uncovered (and hopefully straightened out), or the high level of engagement and cooperation I witnessed. I had that delicious sense of ‘boredom’ (not) that a teacher may get when their students are doing all the work, and helping each other, and all they have to do is eavesdrop. We probably ran out of time because we began the period by talking about mindset and self-advocacy, but again, this was time well spent. I have to reiterate my total gratitude and admiration of Sara’s generous sharing of her well-developed and on-target intentional planning. considerably during this activity, and were energized enough to begin to engage in our first Number Talk (and by our, I mean me!) I was very anxious about introducing a number talk with this class, but in the few minutes we had to begin (I ran out of time), the students began to share the different patterns they saw in the dot card I provided. I can’t wait to try it again, with an appropriate amount of time. I thought about why I wasn’t doing the Top Ten Calculator Things Activity with my Discrete Math classes, and I couldn’t come up with a reason other than the embarrassing knee-jerk reaction “they don’t need this.” Then I realized all my students need these skills – and to be honest, I am relieved that I saw this, because I’m not sure I did before. So we’ll be working on that on Tuesday. And it will be 10˚ cooler. The discussions about self-advocacy in the classroom and in life were uneven. I was pleased with how I facilitated the ones that went well, although I would be happier if the students had answered each other rather than me. I could have modeled that better. Still, in all five classes, the students were definitely listening during that portion of the lesson. And I love the chuckles during the Stuck on the Escalator video. Truthfully, the most negative aspect of my day was no relief for me or my students during this humid heat wave. I try not to dwell on the weather (and certainly don’t when I am teaching), but boy, it’s a challenge to motivate kids under these circumstances. That said, I was pleased with the engagement level in all of the activities during the day; my efforts to be ‘intentional’ paid off well today. Two former students of mine (Algebra 2 from last fall) were in my office yesterday and today as if no time had passed. I love these kids – they are open, and hopeful, and helpful. I am looking forward to spending the year with them – not as their teacher, but as a concerned adult in their lives. And their willingness to step up whenever I ask is something I am always thankful for. I am working on getting to know my students better this year, and am investing a lot of time and effort toward that end – name tents, combing through their histories – working hard to see them. My realization that the calculator activity was appropriate for all of my classes was a positive step in my growth as well – I uncovered a bias of my own, and am working to rectify it and provide more opportunity for all of my students, particularly those who have been marginalized by being programmed for a math elective rather than a core class. I’m still getting my head in the game, but the positive results I have had in the soft/hard opening days this year are encouraging. I don’t feel as overwhelmed as I did a week ago, and I’m ready to try more Number Talks and Contemplate then Calculate.